Another fake encounter in Sukma, Chhattisgarh? Raipur/Sukma: While Chhattisgarh police claimed to have killed 15 alleged Maoists in an operation in Konta area of Sukma district on Monday, local journalists and social activists have claimed it to be a fake encounter. It is being alleged that 15 innocent villagers have been killed including two brothers and seven minors from four villages under Mehata Gram Panchayat. The names of the villagers allegedly killed in the encounter are 1. Hidma Muchaki, 2. Deva Muchaki, 3. Muka Muchaki, 4. Madkam Hunga, 5. Madkam Tinku, 6. Sodhi Prabhu, 7. Madkam Aayta from Nulkatog village; 1. Madkam Hunga/ Hunga, 2. Kadti Hadma, 3. Soyam Sita, 4. Madkam Hunga/Sukka 5. Vanjam Ganga, 6. Kawasi Bami from Gompad village; Madvi Hunga from Kindrampaad village and Vanjam Hunga from Velpochha village. 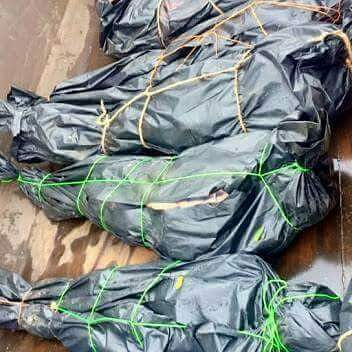 The bodies of those killed have been handed over to relatives after postmortem.